Our patient-centered approach focuses on reducing pain, increasing range of motion, and strengthening muscles by providing hands-on manual treatment and supervised active therapy. 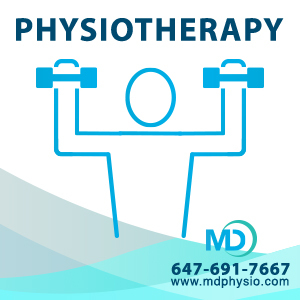 Our team of dedicated physiotherapists is highly trained to provide thorough assessments and treatment plans for all muscle, joint, and nerve conditions. 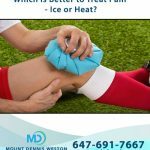 At Mount Dennis Weston Physiotherapy and Chiropractic Centre, we are committed to staying on top of the latest clinical research so that you can always expect the most up-to-date, evidence-informed, and comprehensive care available. Our therapists are passionate about your health and vitality, and strive for continuous improvement and lifelong learning. Our physiotherapy treatment style is approachable, personable, and encouraging. We work to establish the root cause of the problem, educate patients on how to improve their symptoms, and teach how to avoid re-occurrence. 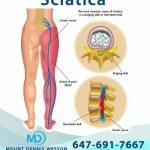 At Mount Dennis Weston Physiotherapy and Chiropractic Centre, our physiotherapy treatment provides one on one hands-on manual care. We also use several healing modalities and state-of-the art technology to reduce pain and speed up healing. Our equipment includes electrical muscle stimulation (IFC and TENS), laser therapy, taping, spinal decompression, custom bracing, hot and cold therapy, and exercise therapy. Our patients are given detailed evidence-based exercise programs to perform both at the clinic and at home. All exercise programs are designed and monitored by our physiotherapists. Our physiotherapy-based clinical conditioning and exercise programs are effective in helping manage additional medical conditions, such as osteo-arthritis, high blood pressure and diabetes. Additionally, our therapists can implement exercise programs to promote healthy weight loss by helping patients build lean muscle. We encourage natural healing to help you move better and feel better! 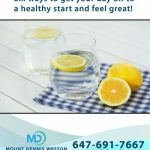 We want to get you back to your normal daily routine, your favourite daily activities, and give you the confidence to feel great and live your life pain-free.